Design and design thinking has an important role to play in the creation of new products and services. The benefits of a design thinking approach at the initial stage of product innovation is key to a successful outcome. 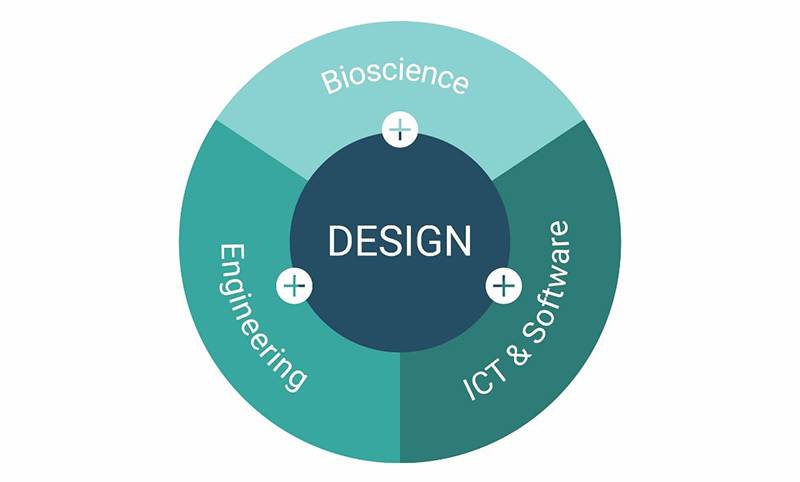 The Design+ Applied Design Technology Gateway, based in the Institute of Technology Carlow, applies a design approach to companies from the engineering, ICT & software, and bioscience sectors nationally. Design as a support to each of these sectors increases efficiencies, demonstrates sustainability and builds competitive advantage for industry. The design research centre within Design+ is known as designCORE. designCORE is an established centre for innovation and commercialisation in design and new product development. A team of dedicated researchers and designers works collaboratively to support industry through design-led innovation. Their goal is to create tangible outcomes that are based on the most cutting edge research methods in the world. Design+ works with a wide range of small to medium sized enterprises (SMEs) in many different industries, providing expertise in near to market innovation solutions. The team has worked on a range of projects including consumer products, sports equipment, homeware, agricultural products and personal electronics and has access to a variety of specialist equipment and technology within the research centre. Each project is viewed as unique and as a result the assistance provided is tailored to its specific needs, ensuring that projects are delivered on time and within budget. By supporting you at this early stage of new product or service development, Design+ provides the foundation and validation to progress the project. Design is what links creativity and innovation to empower entrepreneurship. It acts as a strategic driver of innovation by acting as an advocate for the user. 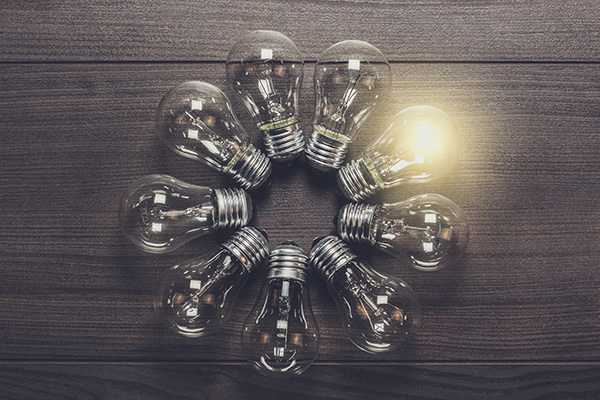 When design is used at an early stage of the innovation process, it helps to generate and integrate insights, to further realise and develop the potential of ideas. Design as an industry is evolving, mainly from graphic and product design, to address more strategic and societal issues. Design’s user-focused approach is beginning to enable many industries to take an alternative direction. 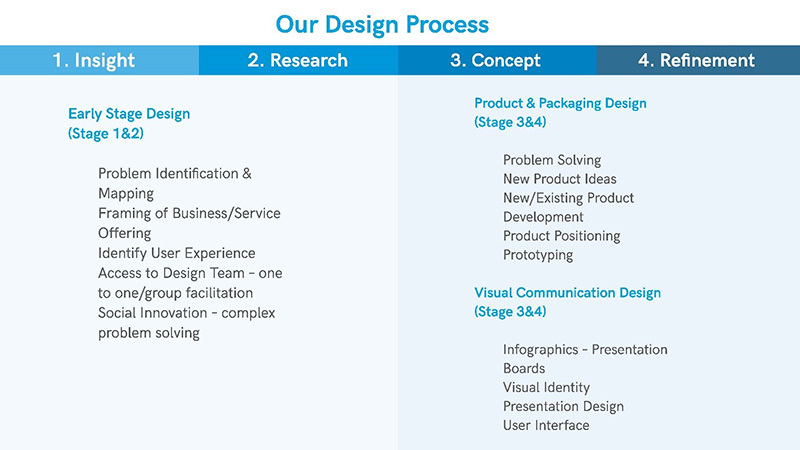 The overall approach of Design+ is user-centred through a 4 stage process. 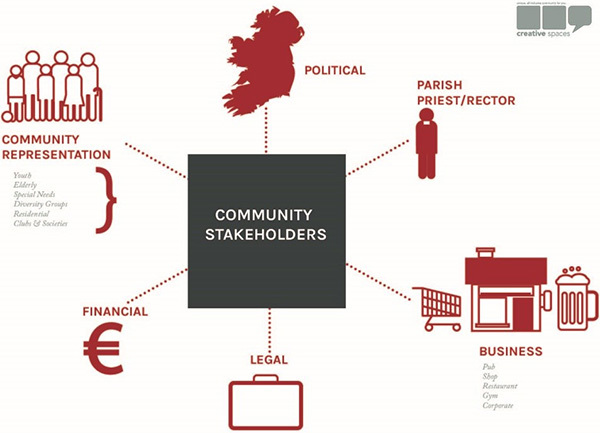 Design+ can assist companies with Enterprise Ireland funding mechanisms in the form of Innovation Vouchers, Innovation Partnerships and Innovation Partnership Feasibility Studies. Companies can also directly fund their work. The Design+ Gateway page and their website can provide more information. Framing of client’s existing resources and service offering and mapping potential areas for product and market development opportunities. 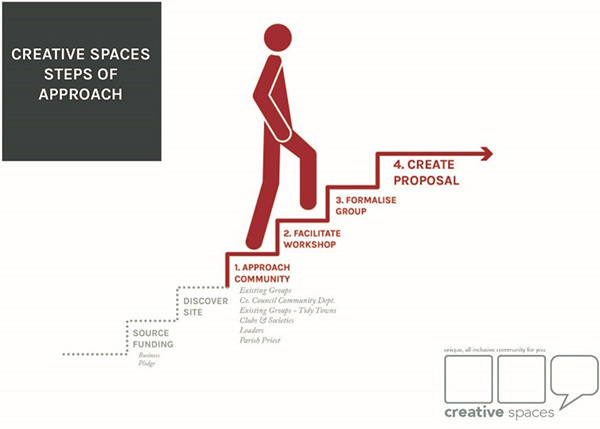 Through a series of facilitated workshops with the client, the new offering was framed and the steps of approach to the relevant stakeholders identified, in order to achieve a tangible output. Upon completion of the project with designCORE, Cheetah was able to progress with further testing and design development before proceeding to manufacture, resulting in the Bodylite brand. The Bodylite running belt was successfully launched on the market in October 2016 and was recently featured on the RTE programme Nationwide. Design+ Technology Gateway Manager, Ailish Delaney, believes that design plays an integral role in enabling innovation within companies and that the Design+ is in a unique position to be able to facilitate this.